RSS Theft On The Increase? Time To Turn Off RSS? I have suffered from content theft for ages across most of my sites and especially on my biggest money earner. Not so long ago one SEO suggested removing RSS from a site to stop the thieves (I think I know who, but not sure, checking – one of the ones in my blogroll though, sure-ish of that). This would obviously mean that people can no longer subscribe to your feed but the payoff is that you rank for your content. 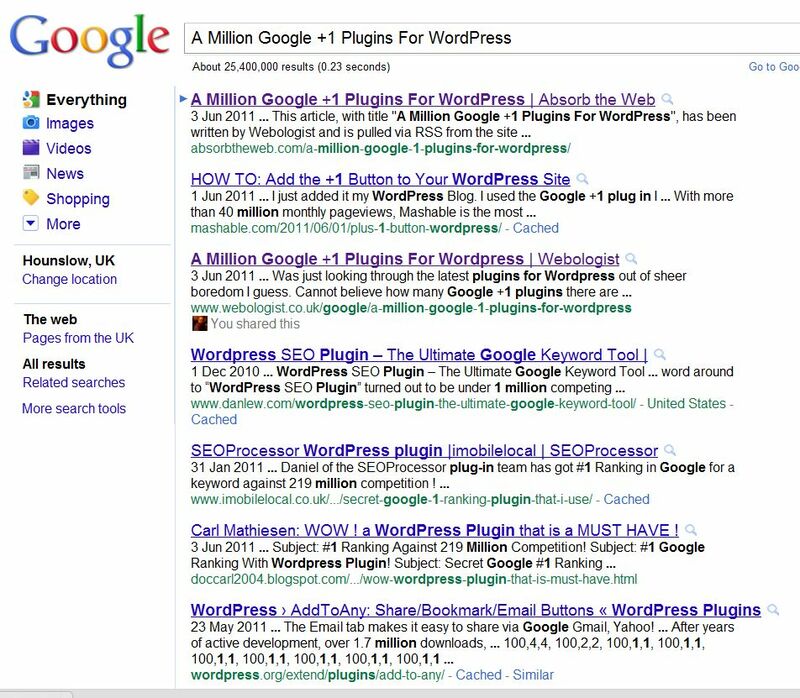 What is most shocking is the admission by absorbtheweb.com of the theft with the words “3 Jun 2011 … This article, with title “A Million Google +1 Plugins For WordPress“, has been written by Webologist and is pulled via RSS from the site …” in the description. These notice only seems to appear in the page META description though meaning that readers will not spot that it is ripped off from another site. Now, RSS has been around for years and is a great way to syndicate content to email etc (I use the Thunderbird RSS Subscriptions service to keep up to date on the latest news and blog posts). But it was never intended as a handy way for people to re-publish somebody else’s content without their permission. So, time to turn if off? I have heard that Google are working on the duplicate content issue in search. The recent “Panda” updates were supposed to eradicate content farms of this nature but absorbtheweb.com still managed to rank above the sites that it copies. Oh, once again my blog post is cut short by urgent family matters! Gotta dash. Quick question: Should we turn off RSS at least until Google fix the scraping problem?